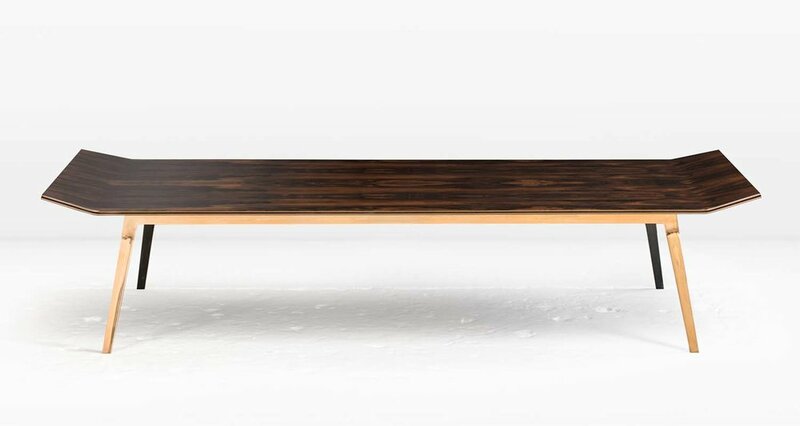 The Blackburn’s top is comprised of alternating layers of wood and metal which are expressed along the table’s edges and is subtly articulated at both ends. The metal base is shown in polished Silicon Bronze with a patinated interior edge (last image shown in polished Nickel). Top is shown in highly polished Ziricote, a wood indigenous to Central America with a unique, marble like grain pattern. Also available in other woods.